We have suggested that this dated back to around 1923 when Major-General Lord Loch agreed to become President of the Legion. A recently discovered newspaper cutting suggests that the idea of using the Legion to support royalty might go back to 1919. The Bolshevik Revolution and the assassination of the Russian royal family – all related to British royalty – sent out shock waves. The upper and middle classes were terrified that Red Revolution might spread to Britain. Strikes became widespread and the British Labour Party supported the servicemen, whose unrest at times turned into mutiny, and the badly-underpaid Metropolitan Police who went on strike in 1918 and in 1919. It is not possible to discuss fully here the discontent of the working classes in the period after the First War, but this is covered in many books. It was mainly the landed gentry and the upper classes who were so frightened by the thought of Bolshevism and revolution occurring in Britain, overturning the status quo and doing away with British Royalty. An interview with Lt. Col. Driscoll in an evening paper “The Globe” must certainly have caught their attention. The League of Nations will no more obviate the necessity for going in for extensive military training than Christian Science will do away with the surgeon’s need of a knife. The sentimental trash which is being talked about disarming threatens to ruin the virility of this country and to destroy its power as a champion of justice. I assure you that Pacifism and Leagueism lead to no utopia. To get to Utopia you must travel in a tank. As I withdrew I saw the other callers. There were two Canadians, three New Zealanders, one Australian, and two demobilised Imperials, each wearing the badge of the Legion. Every one of them was a soldierly, strong-built, and clear-eyed Briton. If these are fair samples of the 10,000 members, I thought, I should hardly care to be a Bolshevik when the Legion gets busy. his interview was the closest Driscoll and the Legion ever came to being political, but he only spoke the thoughts of many deeply alarmed men of his type and generation. We can only produce a mass of circumstantial evidence, as any feelings that here was a trained body of men who publicly supported King and Empire and would rally to support the King in the event of any revolutionary actions against him would not have been put in writing. Driscoll’s views and his Frontiersmen would have been discussed in the London Clubs over brandy and cigars by men of influence. Sadly, the papers of Major-General Lord Loch lodged in the Scottish Record Office and his Army service papers at the Imperial War Museum exclude his Frontiersmen papers. The family suffered tragedies,during which his son wrote to us that there were files of Frontiersmen papers somewhere in his garage. These appear to have been discarded at some stage, his son and both grandsons are dead, and the Peerage is now extinct, so what was likely the main source of written evidence is lost. The above interview is just one more pointer to perhaps why the Frontiersmen were often around when Royalty appeared in public. 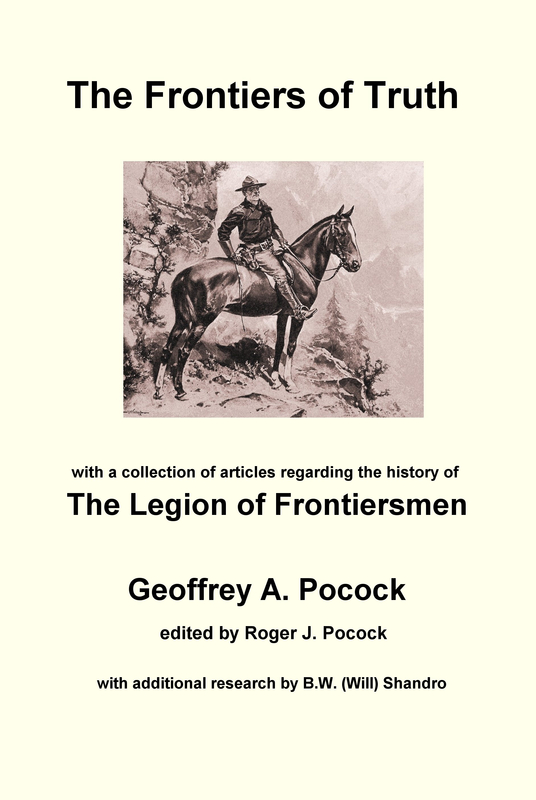 This entry was posted in Frontiersmen, History, Legion of Frontiersmen, Surprising Snippets and tagged Bolshevism, Driscoll, Russian Revolution, The Globe Newspaper. Bookmark the permalink.